As long as there is still blood pumping through Tom Cruise’s veins, there will be Mission: Impossible movies to put him in danger of losing that blood while performing ridiculous stunts. 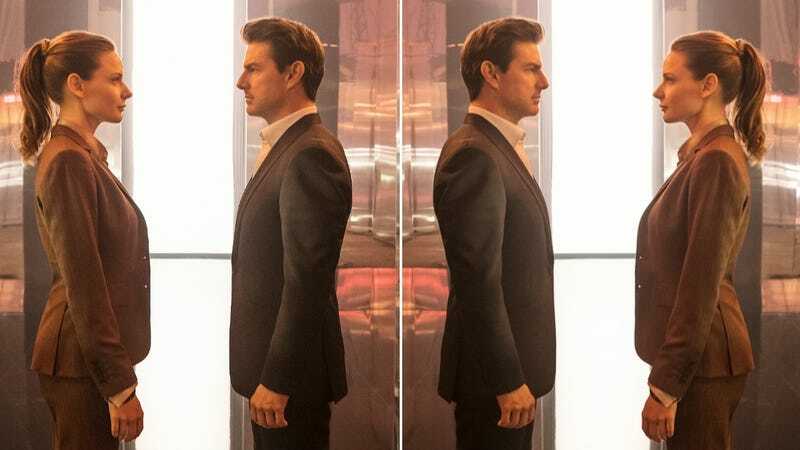 According to Variety, the next two Mission: Impossible movies are already being developed, with Rogue Nation and Fallout director Christpher McQuarrie once again set to write and direct. Bringing back the same director so many times is already unusual for the series, but what makes this slightly more unusual is that the two movies will be filmed back-to-back “in order to take advantage of the popularity of the series.” Variety specifically references the way Avengers: Infinity War and Avengers: Endgame utilized this same tactic, which could mean that these two movies will be directly connected to each other in more overt ways than previous Mission: Impossible movies have been. The first of these two movies will hit theaters in 2021, with the next coming in 2022. Cruise and McQuarrie both confirmed the news on Twitter, and Variety says that McQuarrie will begin working on the scripts now as he waits for Cruise to finish filming the Top Gun sequel. Now we just have to wait a few years and we’ll get another rad trailer with an Imagine Dragons song—assuming Imagine Dragons is still around in 2021, which is not a given.